Racism is one of the ugliest things about human societies. But even uglier is telling lies to fight it, because once you start doing that, people of all races would be justified in questioning the credibility of anything you say or do. Dolezal, 37, head of the NAACP’s Spokane chapter since January, leaned on her two adoptive kid brothers — both African-American — to abet her long-running racial ruse. The African studies instructor eventually severed ties with her biological parents, telling a local television station they hadn’t spoken in years. Sibling Ezra recalled how his sister asked him not to “blow my cover” before a 2012 visit, and then criticized her strange double-life as akin to wearing blackface. But Dolozel, in her TV interview, didn’t hesitate when asked asked if she identified herself as African-American despite her family tree. A release of local police records showed cops felt Dolezal’s claim of discovering an envelope stuffed with racist material in the NAACP post office was sketchy at best. “I do not have any reason to believe that any of these employees were involved,” wrote the investigating detective without pointing any fingers. The explosion of insane interest came after Dolezal’s parents revealed the truth about their daughter’s race to anyone who would listen, blowing up the Twitterverse as the beleaguered Dolezal hunkered down and hid. She thanked her friends for their support, and recounted a “heart to heart” talk with members of the NAACP executive committee. 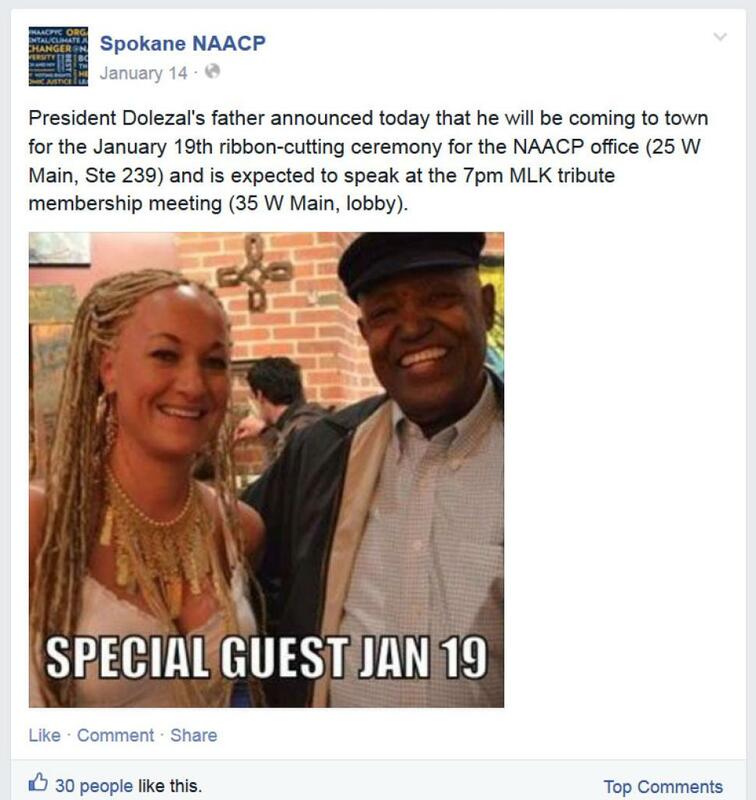 Dolezal said she “will be addressing the Spokane NAACP membership and all my friends soon.” The activist — whose Twitter handle is “@HarlmRenaissance” — otherwise avoided the spotlight. “She would put her hair in long extensions and do African hairstyles, and she liked to identify with the culture,” her mother Ruthanne Dolezal told the Daily News. The parents said their daughter’s actual ethnicity is a mix of German and Swedish on the mom’s side, Czech and German on the dad’s side. “That’s when we first starting noticing hostility towards us,” said Ruthanne. “It was terrible. It was a great grief to us. We had to trust that something down the road would change. “We are gathering facts to determine if any city policies related to volunteer boards and commissions have been violated,” said a statement from Mayor David Condon and City Council President Ben Stuckart. “NAACP Spokane Washington Branch President Rachel Dolezal is enduring a legal issue with her family, and we respect her privacy in this matter,” said a statement Friday from the national NAACP. She recounted hunting their food with bow and arrow, beatings with a “baboon whip” and living inside a Montana tepee. 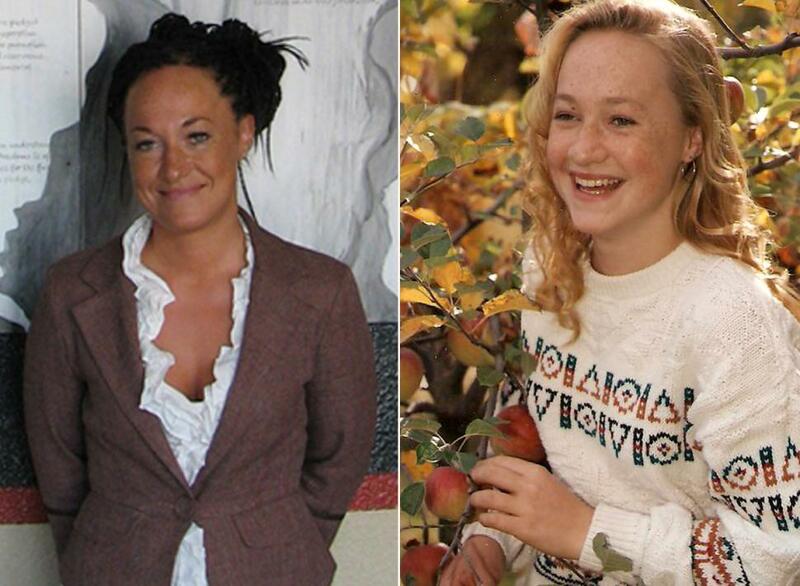 On the left is how Rachel Dolezal looks now and on the right is how she looked many years ago. Such changes do not occur naturally due to aging or maturing. 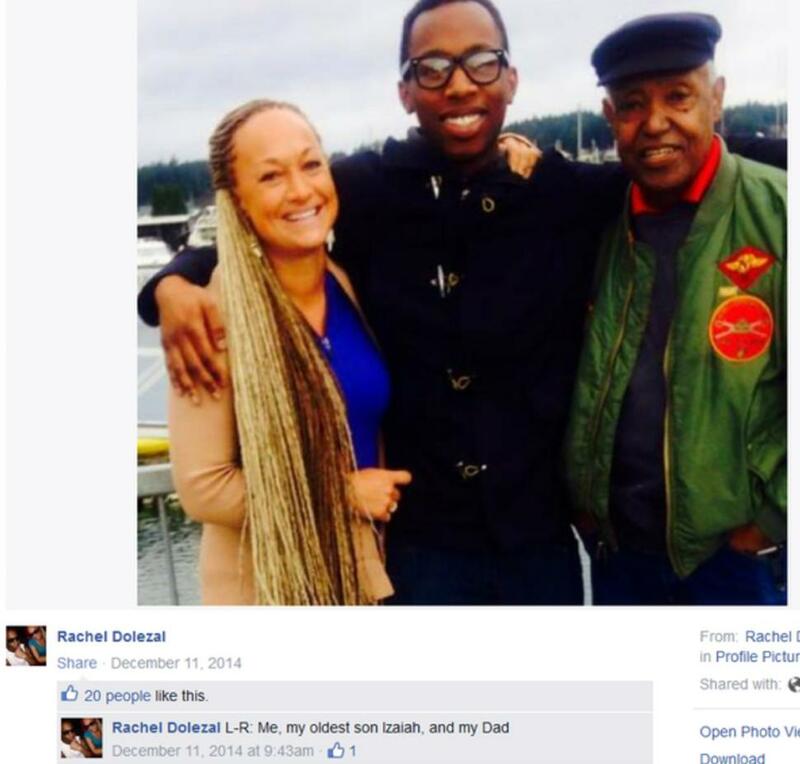 But Dolezal has claimed a different man, a BLACK one, as her father. I would never say that a white person cannot fight racism alongside blacks, because I do and always will. But I would never claim to be black, or Jewish, or gay, or transgender, or anything other than what I really am to represent the interests of any minority. 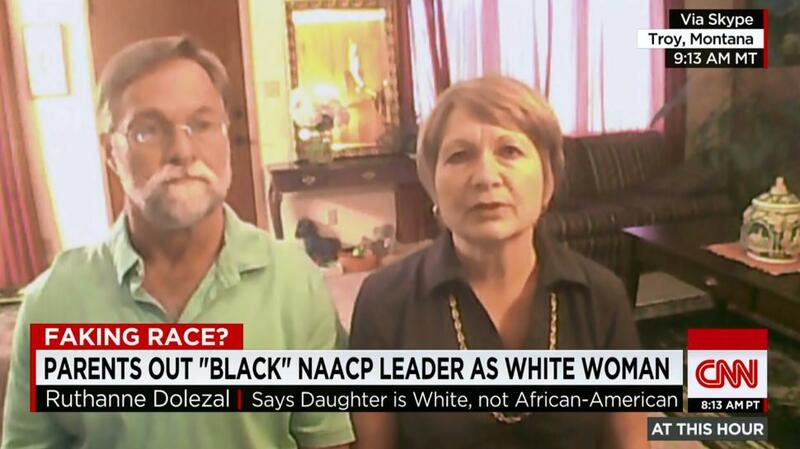 Any way you look at it, Dolezal has committed FRAUD and should be forced out of the NAACP immediately! This entry was posted in dishonesty, racism and tagged NAACP. Bookmark the permalink.